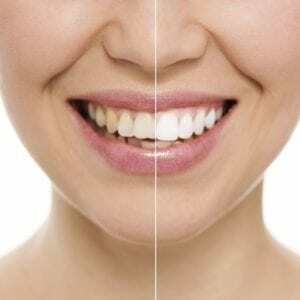 After patients in San Francisco get a professional teeth whitening treatment, the main question asked is how can they maintain their beautiful results. The simple answer is to brush and floss the teeth regularly. However, there are some other daily habits that can be altered to create longer-lasting results, so patients can have bright and shiny white teeth for years to come. Here are some maintenance tips to follow after a teeth whitening treatment. The foods and drinks that may have contributed to the teeth stains in the first place should be avoided, especially right after a teeth whitening treatment. These include coffee, tea, red wine, soda, berries, acidic foods and more. If these can’t be avoided, then a good habit to get into is to rinse the mouth out with water or a quality mouthwash immediately after consuming them. This small step can help people in San Francisco enjoy the foods and drinks they love and still maintain the results of their teeth whitening procedure. Smoking is another common cause of stained teeth for the residents of San Francisco. When patients smoke immediately after their teeth whitening treatment, chances are the teeth could quickly become stained again. Refraining from smoking for a few days after the treatment will help protect the bright and shiny appearance of the teeth. Prolonged smoking for months and years after the teeth whitening treatment will cause the teeth to become stained again, so not smoking is the best way to ensure the results are maintained. Following a teeth whitening treatment, the dentist may suggest using a particular toothpaste with whitening properties. These toothpastes aren’t necessarily designed to get rid of stains on the teeth, but they can sometimes help maintain the color of the teeth. Rinsing the mouth with water and brushing with a whitening toothpaste immediately after eating can go a long way in keeping the results you’ve achieved. People in San Francisco don’t have to go through dramatic lifestyle changes to maintain their white teeth after getting treated. The goal is to be conscious of what is consumed and how the teeth are being cared for. Of course, everyone has busy lives, and it’s not possible to carry around a toothbrush and toothpaste everywhere. In these situations, swishing some water in the mouth after eating or drinking may seem like a small step that’s not very important, but the truth is it can lead to long-lasting results. At Skoulas, DDS, we want everyone in San Francisco to enjoy life with the whitest and shiniest teeth possible. Dr. Skoulas not only takes pride in creating the white teeth her patient’s desire but also providing them with all the information and tips possible to help maintain the results. For more tips on how you can keep your teeth white for years to come, contact us at (415) 757-0110 to speak with our staff or to schedule an appointment with Dr. Skoulas.